Do you love butterflies? Oh, come on – who doesn’t? These beautiful fluttering friends spread joy wherever they go. But did you know that butterflies aren’t just as pretty as you please? They’re messengers to the fairy realm too! That’s right. 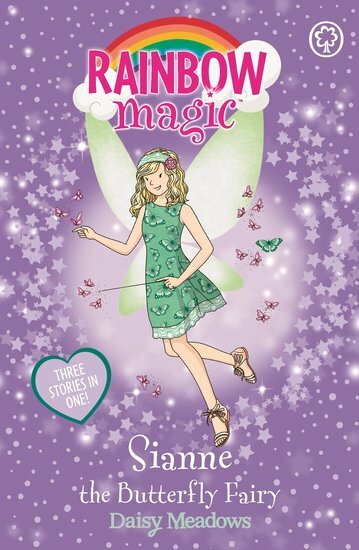 Under the caring eye of their guardian fairy, Sianne, butterflies carry magical messages between the human world and Fairyland. But when Jack Frost steals Sianne’s enchanted objects, this precious link is in danger. (And so are the butterflies!) Can Kirsty and Rachel defeat the wicked Ice Lord?